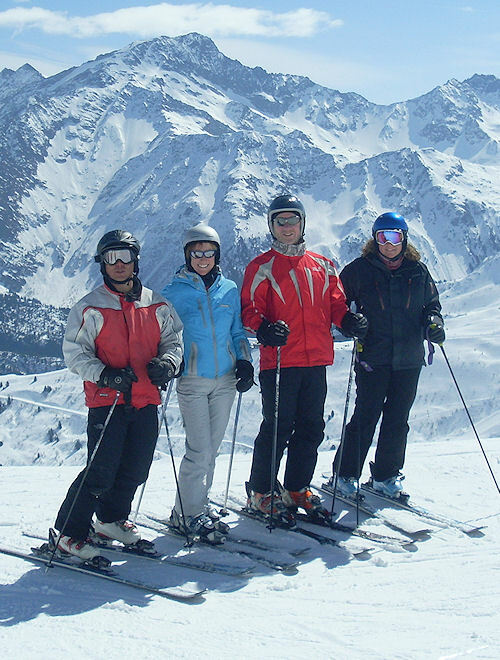 Megeve Ski Chalet les Cimes, Megeve - Guest Feedback..
Hi Michelle, I just wanted to drop you a quick email to say a big thank you to you, Adam, Veronica, Petra, Robert and – last but not least – Rocky, for a lovely few days last week. You and Adam looked after us so well – you are wonderful hosts. Thank you for your patient ski hosting and to Adam for ferrying us about, including taking us straight to the ski hire shop when we arrived. I can’t speak highly enough of Veronica who was an absolute treasure and Petra’s food was delicious – the scallop starter and the chocolate and caramel fondant pudding among my favourites, but I loved it all. Steven and I could have polished off about 3 of those puddings! We really enjoyed our stay. Hope the rest of the season goes smoothly with plenty of snow at night and sunshine by day! Once again we had a wonderful holiday with you and just wanted to say a very big ‘thank you’. Love the atmosphere you have created in Le Cimes – the social element, great food, guiding, magic of Megeve and of course your (and Rocky’s!) hospitality make it a winning formula and one we so look forward to returning to. Many thanks and see you next year.